Marvel is certainly on a roll with their content over this past decade with their billion dollar movies and their successful television shows across multiple platforms. 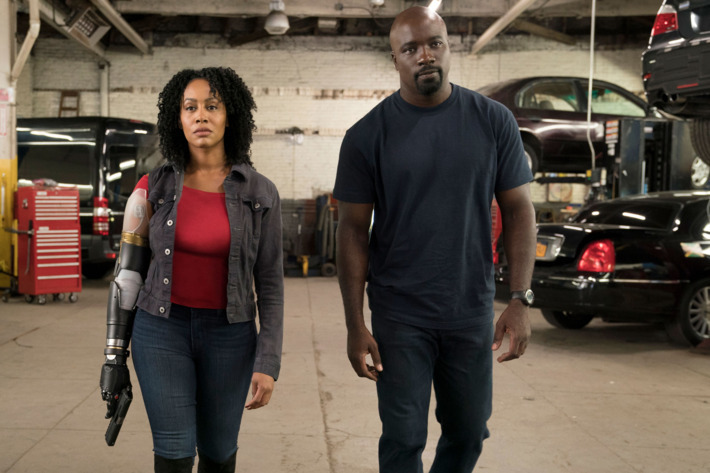 One of these shows is called ‘Luke Cage‘, which just debuted its second season on Netflix. Luke Cage was the first black superhero in comic books to be featured as the main protagonist with his name as the title. Cage is an ex-convict who was imprisoned for a crime he did not commit who was experimented on, thus creating his superpowers of strength and unbreakable skin. Once he hones in on these powers, he basically becomes a hero for hire and is one of the coolest characters in the entire Marvel Cinematic Universe. 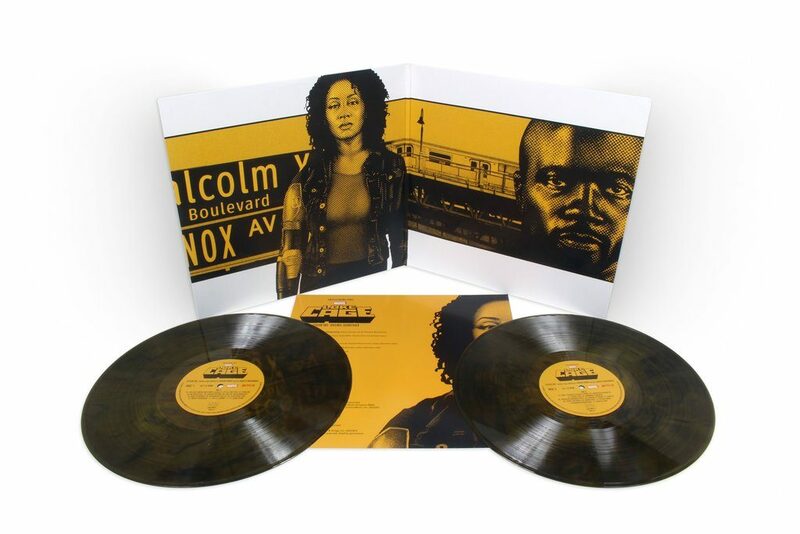 In this second season, the action is amped up, the story is excellent and the music itself enhances everything that is on screen with an homage to old-school soul and hip-hop with music composed by Adrian Younge and Ali Shaheed Muhammad of the band A Tribe Called Quest. Needless to say with this talent, the soundtrack on vinyl is magnificent. 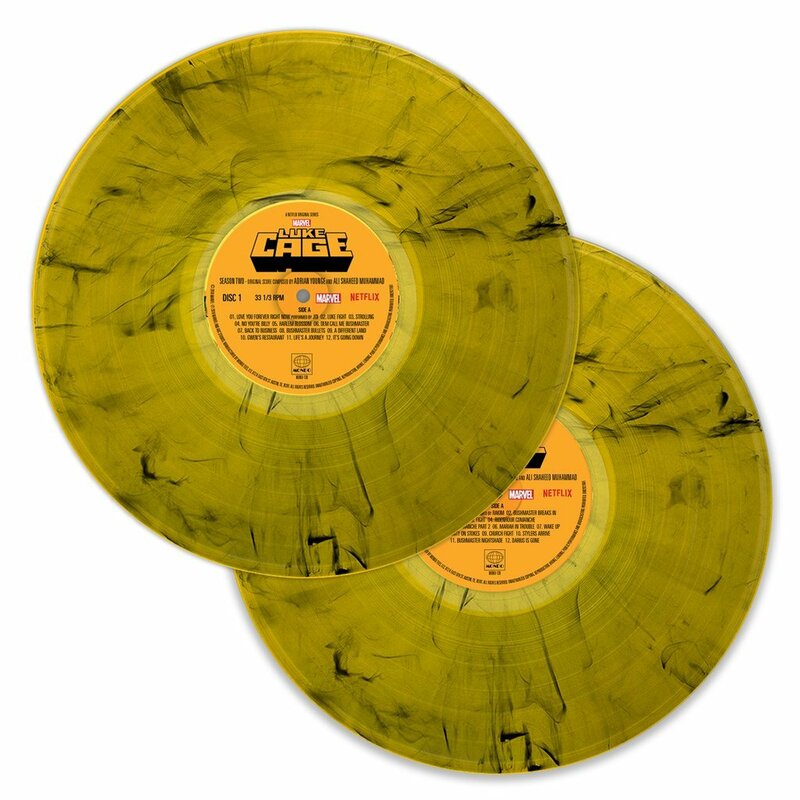 The ‘Luke Cage Season 2‘ soundtrack comes with two 180g LPs that have a smoky yellow translucent color on them, which is the variant color. It looks gorgeous when spinning on the turntable. These two LPs are housed in a sturdy, gatefold cardboard sleeve with amazing artwork on the inside and out of the album. The yellow/gold and black color motif undoubtedly radiates with greatness. There is an insert of liner notes that is fully illustrated with Special Thanks and information on each of the musicians and songs that are on the album. On the back cover of the album, the track listing is presented along with some images of the show. The catalog number is MOND-139. The music of this show is completely fantastic in almost every way if you love soul, jazz, and hip-hop. It has a vintage sound to it that conveys the best of The Delfonics and the Coasters with some modern sessions in rap. It works well with the show for sure. One of my favorite tracks on the soundtrack is the cover of I Put a Spell on You by Christone “Kingfish” Ingram, which was originally done by Screamin’ Jay Hawkins back in the 1950s. A ton of people over the years have covered this song, but with this version, the smooth sounds of soul hits every beat into a smooth and stylish tune. It might be my favorite cover next to Hawkins’ original. Kings Paradise by Rakim is phenomenal as well along with The Thrill is Gone by “Kingfish” as well. King’s Paradise oozes old-school beats with some jazz notes with Rakim’s lyrics to punctuate the message of the song here. It’s a nice breath of the past. The Thrill is Gone also utilizes some prime R&B melodies that takes its time from verse to verse, which is a good thing. It’s one of those songs you can completely feel at ease with. Now with Joi’s rendition of Love You Forever Right Now, we really dive into the Delfonics and lounge acts of the 1950s and 60s. The piano and organ notes are marvelous and elegant, while Joi’s voice is comparable to that of Macy Gray’s voice, which is just outstanding. This slow ballad makes you want to dance with your significant-other close as can be. These are the four songs from the album, which are all remarkable. The rest of the music comes with an instrumental score from Younge and Muhammad, which evoke all of the great ingredients from decades of black culture and music. The LFE is full in each of these tracks and the dynamic range is very wide, providing some deep bass elements on the low end. 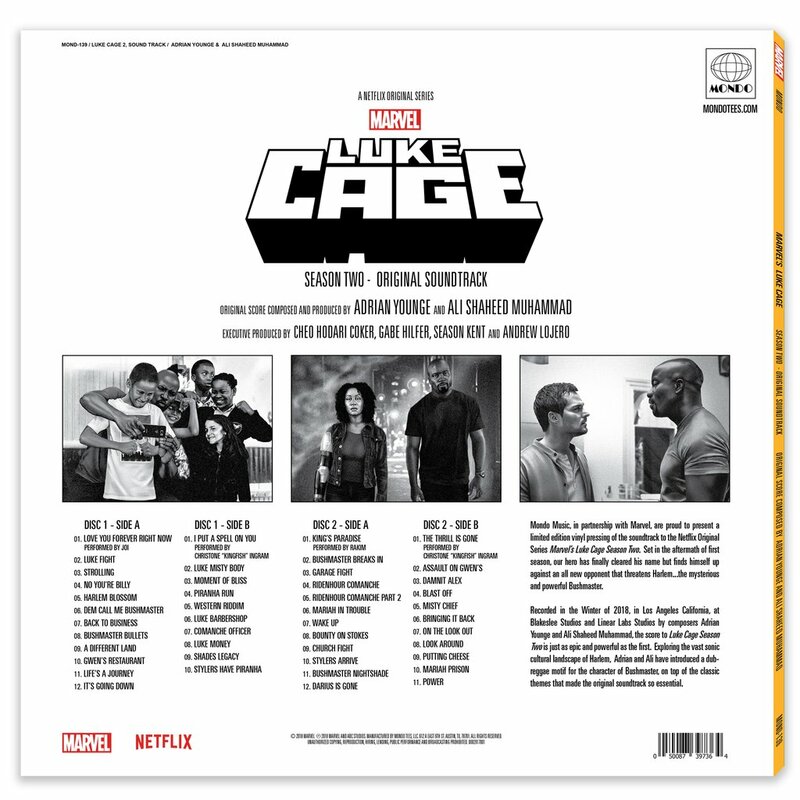 I found a lot of similarities to the Jackie Brown soundtrack, which is a good thing and is one of the better soundtracks in the whole MCU. There is nothing else like this out there as far as superhero movies and shows go. 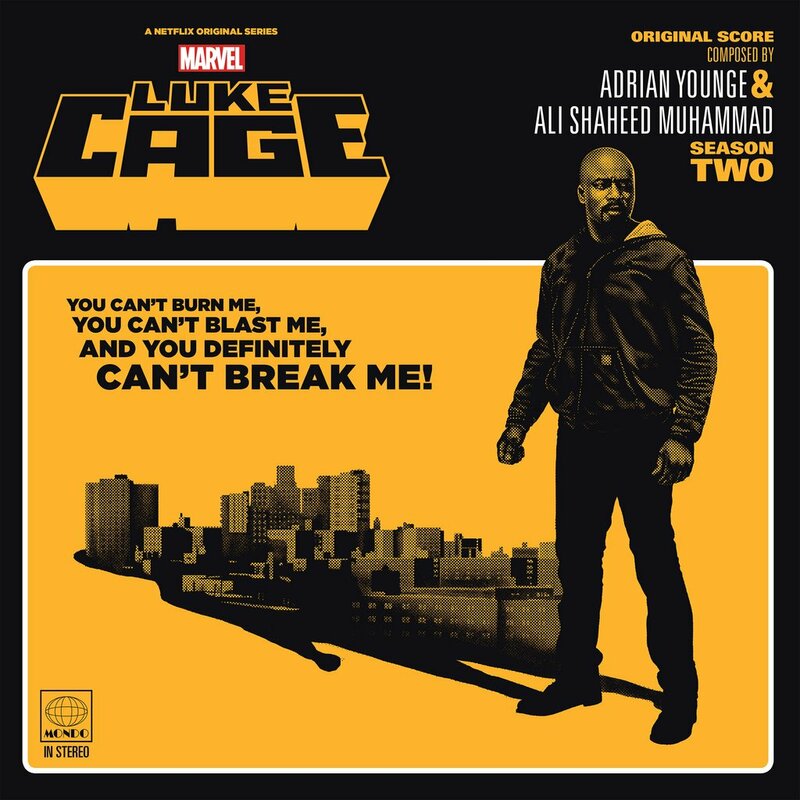 Mondo has really knocked out of the park with this ‘Luke Cage Season 2‘ soundtrack LP. The artworks pop right off the sleeves and records themselves look beautiful. The sound is full and robust with deep lows and dynamic highs that punctuate the soul and R&B stylings on each track. This is one of those soundtracks you can play at a party and everyone will ask you about it and start swaying back and forth in a hypnotic dance. It really is that good. Top 10 Soundtracks We Want To See Released on Vinyl! This entry was posted on Wednesday, August 8th, 2018 at 12:52 pm	and is filed under Music, News. You can follow any responses to this entry through the RSS 2.0 feed. You can skip to the end and leave a response. Pinging is currently not allowed. « Ep. #22 Wrestling is Everything is Wrestling – NXT TakeOver Brooklyn 4 and SummerSlam 1991!